The Karen Women’s Empowerment Group (KWEG) went on its first excursion to the Pyidaungsu Hluttaw in Naypyidaw on June 20. 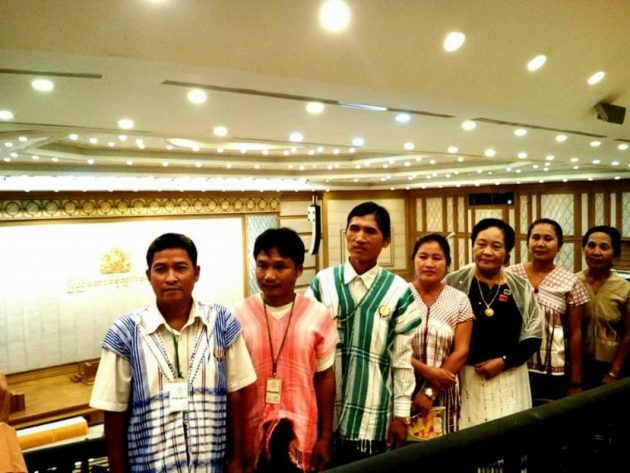 A total of 47 village leaders from Hpa-an, Kawkareik, Kyain Seik Gyi and Hlaingbwe Townships in Karen State studied the activities carried out by the Pyidaungsu Hluttaw and discussed regional development issues. Head of the KWEG’s implementation plan for civilian protection Naw Lah Ler Tun said the visit was to help “broaden minds”. Pyidaungsu Hluttaw officials also explained to the delegation how the state budget is distributed and the various steps needed to submit content to members of parliament. “I never expected to visit the Pyidaungsu Hluttaw,” said Nan Shwe Myaing, a leader from Waing Htaw Village. “Our village is underdeveloped. I will [now] share what I have learned with the administrators and consult with them,” she said. The women said they hoped to meet with Pyidaungsu Hluttaw committee members to ask questions about the peace process and children’s rights, but were unable to do so. The KWEG works with Karen women on women’s rights and gender equality issues. Currently, it is operating in over 20 villages from four townships in Karen State.